Use Git for distributed version control or Team Foundation Version Control (TFVC) for centralized version control. Add GitHub, AnkhSVN, and other extensions to enhance the experience. Quickly clone your code from an online repo on GitHub, Azure DevOps, or elsewhere. Create repositories and manage Git through changes and committed code in the IDE. Wondering if that bug was fixed in production? Associate bugs and tasks to the code to know whether or not the bug fixed last week is going out in today’s release. All without leaving Visual Studio. Switching between multiple Microsoft, work, and school accounts is easy. Add all your accounts to Visual Studio and access the resources without having to sign in to each separately. 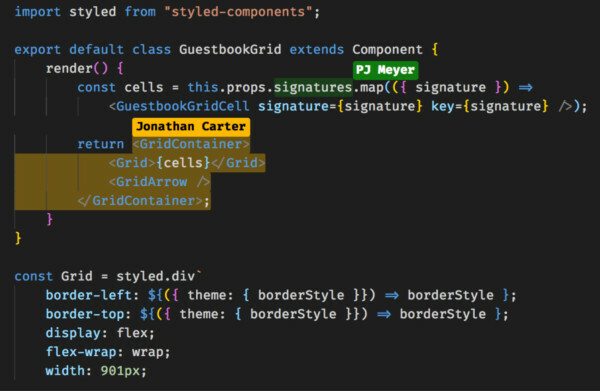 Understand how the code has changed, without leaving the editor. Find references, linked bugs, work items, code reviews, and more without leaving the editor, thanks to CodeLens. Use Live Share to connect to the sessions of your co-workers. Get to the bottom of an issue fast by allowing your team to navigate, set break points, and type in your editor session.